The dangers of asbestos are still underestimated today. In the special issue "Inhabergeführte und Familienunternehmen" ("Owner-managed and family-owned companies"), the magazine Charakter reported on our testing laboratory and explained the dangers of the prohibited substance, which is still hidden in many building materials today. Renovate + refurbish: Attention, asbestos danger! 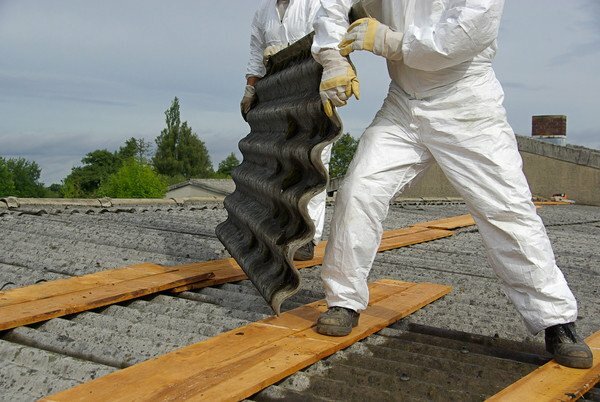 Although the use of asbestos, a material harmful to health, has been banned in Germany since 1993, craftsmen in particular come into contact with it almost every day: many durable materials, such as floor coverings or roof tiles, can still contain the carcinogenic material. Therefore should be examined particularly with changes and renovations exactly whether a risk exists. Asbestos is particularly dangerous for people who want to renovate or renovate a property built before 1993. More and more private customers who want an asbestos analysis before buying or converting a property turn to our accredited laboratory in Hardegsen. Thanks to the new online shop, commissioning an asbestos analysis has become even easier. In order to guarantee on-time analysis despite rising demand, our analysis laboratory has four scanning electron microscopes at its disposal: "This makes the company one of the largest laboratories in the field of asbestos analysis, a "hidden champion" who can without exaggeration call himself the market leader in terms of analysis quality," summarizes the character of the role of our owner-managed laboratory. Read the full report on the Character's website!